This beautiful property has 3 bedrooms and 2 bathrooms. 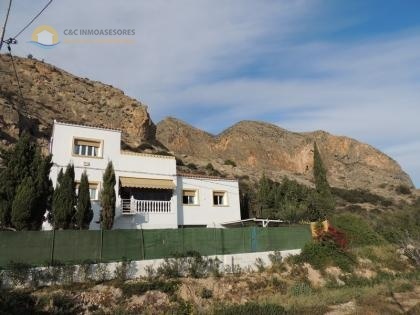 It is located in a beautiful and quiet spot just outside the village of Bigastro in the province of Alicante on the Costa Blanca. The living area is 146m2 and it stands on a private plot of 397 m2. Everything is really in a super condition, the house is like new. This way you can certainly continue for years without having to make investments. Literally the key in the lock, and the enjoyment can begin. 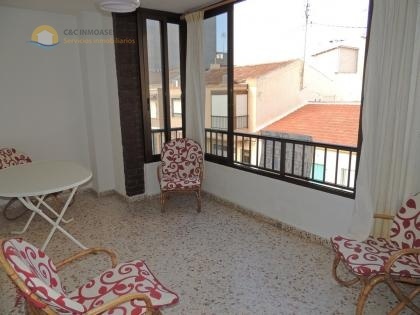 This property is ideal as a holiday home, but certainly spacious enough for permanent living. Many other people also live in the urbanization throughout the year. Important to know. You enter the house at the front via a nice little conservatory. This can be completely open on both sides by means of a sliding door. Through the conservatory you come straight into the living room. This is fully equipped to Dutch standards. Just like outside, the house is really in very good condition. The living room has air conditioning, central heating (boiler) and a fireplace (electric). Furthermore, Dutch TV (via dish) has already been installed. Next to the living room is the kitchen, which is also fully equipped. All modern equipment is present. There are 3 bedrooms, of which each bedroom easily fits a double bed. All rooms have a spacious built-in wardrobe. The master bedroom has an en suite bathroom with bath. There is also a second bathroom with shower cabin and toilet in the hall. The entire plot is fenced by a beautiful wall in the color of the house. There are spacious terraces and you always have the choice whether to sit in the sun or in the shade! There is also a large private swimming pool, located on the south side. There is also plenty of terrace space around the pool. You can park your car in front of the door, or always on site! There is more than enough room for example to make a carport or garage next to the house (at the back). At the front of the house where there are also two large terraces, the side has been made into a spacious storage space. Ideal for all garden furniture, bicycles, barbeque etc. Not to mention of course, the beautiful roof terrace with a phenomenal view of the entire area. Especially the beautiful mountain ranges in the background.